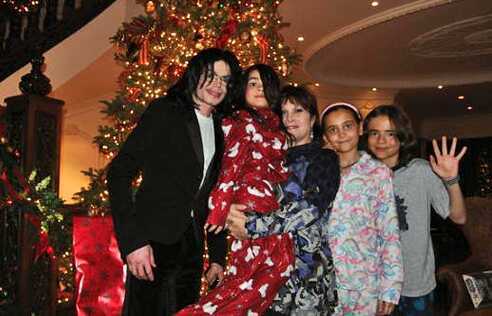 Michael Jackson, Blanket Jackson, ?, Paris Jackson and Prince Jackson ♥♥. . Wallpaper and background images in the Prince Michael Jackson club tagged: prince jackson paris jackson blanket jackson michael jackson jackson family ♥. This Prince Michael Jackson photo might contain kimono. The lady after Blanket was one of Michael's close friends- Carrie Fisher aka Princess Leia of Star Wars.